Today’s students care deeply about sustainability—much more so than the general population. For them, sustainable practices are visit drivers. What’s more, some 57% of students are willing to pay more for sustainable foods, according to Technomic’s recent College & University Consumer Trend Report. Sustainable claims drive visits, especially for young consumers: Some 31% of Gen Zers say they’re more likely to visit restaurants that try to be sustainable. Students are looking for foodservice operations with comprehensive sustainability programs, and colleges and universities are taking notice. On-campus trends include student-operated farms, greenhouses and gardens; trayless dining; full-time sustainability coordinators and comprehensive sustainability plans that include building relationships with foodservice vendors who specialize in environmentally friendly goods and services. So, what are some ways your foodservice operation can build upon its sustainability initiatives? Consumers, especially younger ones, are increasingly demanding foods with natural positioning. Some 70% of consumers consider items labeled organic to be healthier than conventional foods, according to Technomic’s 2016 Healthy Eating Consumer Trend Report. Look for ways to boost organic offerings, especially in customizable formats like build-your-own noodle bars, pizzas, salads and more. And be sure to highlight those organic foods in signage and other marketing materials. 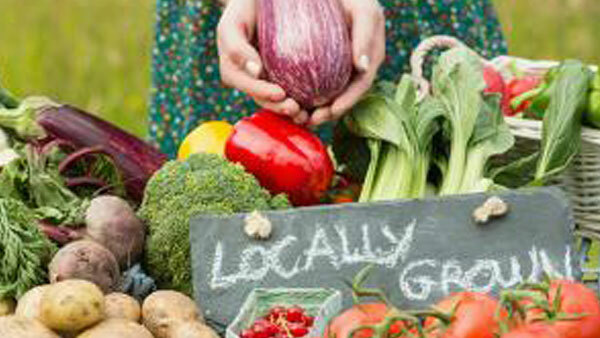 As with organic, local callouts can be a foodservice traffic driver. Some 77% of operators say that having items labeled “local” has at least some impact on traffic and sales. Fortunately for colleges and universities, there’s room on campus to create a student-run farm as well as partnering with local growers. This can be a perfect way to provide hyper-local food and employ students in the business of growing their own produce. On-the-go students can’t always be counted on to have time for sit-down meals in dining halls. Be sure to menu a wide range of portable meal items and snacks—with sustainability in mind. Grab-and-go options might include yogurt parfaits with local berries, ready-made sandwiches featuring meat from nearby producers, and handy containers of seasonal vegetables with dips. Given that today’s students are so focused on sustainability, it’s good for both the environment and for business to seek out eco-friendly disposables. WinCup offers Vio™, the first expandable polystyrene foam cup and container on the market that biodegrades*, with coordinating biodegradable* lids and straws. In some operations, disposables have entirely replaced traditional dishware—which can save on water usage. With a little thought, sustainability really can keep your operations going strong.